As demand for the Surface RT variant starts to plummet, you should be glad to hear that Microsoft are almost ready with their powerful, full Windows 8 version of the Surface. Many were confused by theWindows RT/Windows 8difference and with mixed reviews on the Surface RT, it has not really sold as well as Ballmer and the folks at Microsoft would have liked. According to sources, the demand for the tablet is so weak that Microsoft have halved their order from four million to two million. Unlike the Surface RT, with a Tegra 3 processor, the Surface Pro will have an Intel Core i5 chip inside, we are still unsure what this is clocked to, although we suspect it will be around 2.5GHz, much faster than the tablets on offer from Apple and Android partners. With this very impressive processor and more features, we will detail there comes a hefty price tag. The Surface Pro starts at $899 for the 64GB version and $999 for the 128GB version. This is without the touch cover or the keyboard, so you will have to buy them yourself – the Surface comes with a handy pen stylus. At 1920 x 1080, the Windows Pro is a full HD screen, but it does not quite beat the iPad 4 retina display. When viewing the Windows Pro device, we see a more laptop based device than what we would think of as a tablet. With 4GB’s of RAM and an Intel chip, the Surface Pro is quite a powerhouse of a tablet. Battery life has been halved against the Surface RT, giving us around four to five hours battery life on the Surface Pro. While this seems rather poor in tablet standards, that is average on laptops nowadays. We hope, like most laptops, it does not degrade largely overtime. 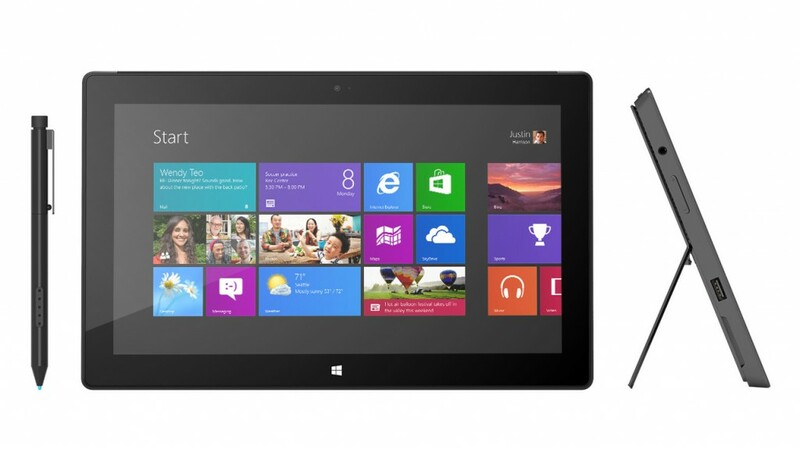 If you want the true laptop/tablet with Windows 8 right now, we would give this choice you. You will have to wait until January to get the device though.